We are builders, owner’s representatives, and consultants that offer solutions to complex construction challenges. We understand it’s what you know and who you know. No one company has all the answers, but successful companies know where to find them. We approach projects from the ground up, which reflects the sound nature of the construction we perform. 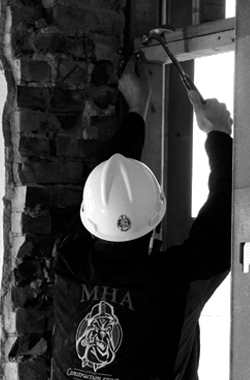 MHA understands construction. We always view the job from an owner’s prospective and look after your best interest. Complex problems require a thorough understanding of the issue and a smart approach to tough challenges. Our prime process provides an integrated approach to simplify the delivery. We have it all from sound advice to sound construction.